Ahead of the 2019 general elections, the United States Institute of Peace (USIP) has raised the alarm on the likelihood of violence in, at least, eight states. It listed the states with greater risks of election violence to include Adamawa, Anambra, Ekiti, Kaduna, Kano, Lagos, Plateau and Rivers. USIP made the declaration in a report it released on the forthcoming general elections, which it said is based on its interactions with Nigerians from different sectors. While it said it was up to the combined efforts of political parties, security agencies and the Independent National Electoral Commission (INEC) to curb violence in the election, it said the greater work lies with the electoral body. “Important shifts in Nigeria’s political and security context have occurred since the 2015 elections, presenting both evolving and new risks to the 2019 elections,” it said in a recent report. “Of all the state’s institutions, most respondents felt that peaceful elections in 2019 are contingent on the performance of Nigeria’s INEC. “Given the relative success of the 2015 elections, they felt that INEC ought to be able to deliver credible elections again in 2019. They feared, however, that any regression from the level of performance achieved in 2015 could lead to violence, because some would view the failings not as a result of incompetence, but as deliberate attempts to frustrate the will of the voters. “INEC should, at least, match the standards it set in 2015, and any regression could set the stage for violence. Yet, while the potential for election violence exists, there are signs of hope. Some states have developed successful election conflict-mitigation practices. In the short amount of time remaining, INEC and the police should undertake a number of key reforms,” it said. The United States, along with other international supporters of the electoral process, should also intensify their efforts to reinforce the work of these key Nigerian institutions. “Beyond institutional support, rather than apply a conventional approach to electoral violence mitigation, donor programming should adapt to Nigeria’s current context, political shifts, and opportunities, and be sufficiently flexible to respond to the risks distinct in each of Nigeria’s states. In the report, USIP said it is less likely for President Muhammadu Buhari to be defeated in the 2019 election. USIP said though many Nigerians feel that the current administration has not met their expectations, this is not likely to cost the All Progressives Congress (APC) government its hold on power. “Many Nigerians feel their hopes have not been met. Some respondents suggest the electorate is sufficiently disappointed that voter apathy will be greater in 2019 than in 2015, with the unifying narrative of change that helped elect the APC in 2015 much less compelling as a factor in mobilizing the electorate, and perceptions that another defeat of the presidential incumbent is less likely to happen in 2019,” it said. Rubish. 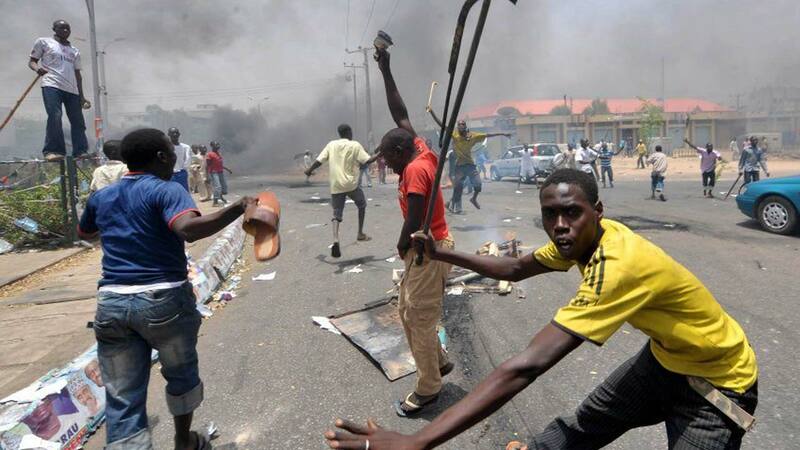 Why must they use federal character to distribute violence among all the geopolitical zones? Who told them that Anambra or any South East state is violence prone?